Like Irving Penn and Richard Avedon before him, photographer Matthew Rolston wanted a break from his usual way of working. Despite great success taking beautiful portraits of the beautiful people, or at least making them look beautiful, he yearned for a fresh challenge. 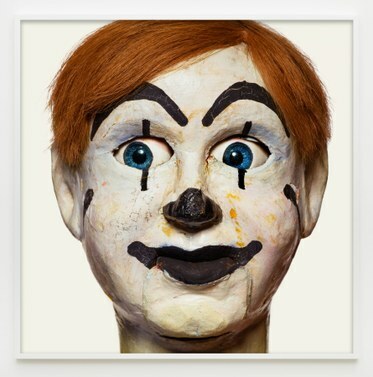 It was found at the Vent Haven Museum, the modest retirement home for ventriloquists’ dummies in Fort Mitchell, Kentucky. 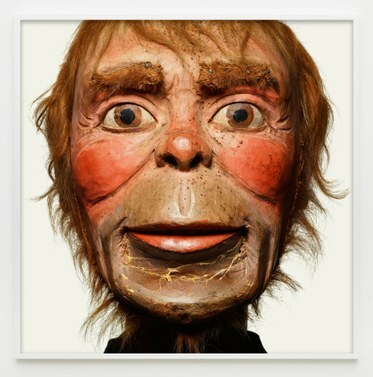 Billed as the only museum in the world dedicated to the art of ventriloquism, it promises rich material for a photographer but Rolston did much more than document the strangeness of 800 life-like figures that once sat on a ventriloquist’s lap. Rolston approached them like celebrities in their own right, making portraits while applying the same rigor in lighting and composition that he would use for a living, breathing person. Each image is cropped tightly, a technique used by Andy Warhol, who actually gave Rolston his first assignment for Interview. 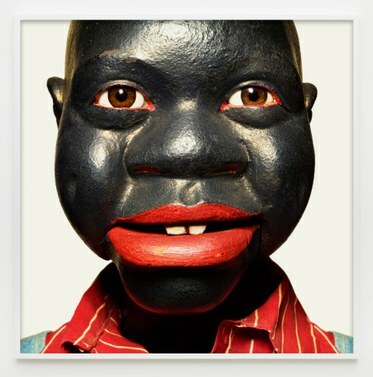 At Diane Rosenstein Fine Art, the walls are alive with the five by five foot (or three by three foot) color photographs of faces of great originality and character, faces that were modeled after funny or suggestive stereotypes of their respective eras. Some date to the 19th century such as the scrappy Irishman with bushy eyebrows and with reddened nose, others harken back to vaudeville such as red-lipped brunette Noisy Crachini with her top-hatted companions Skinny Hamilton and Señor Wences. Most have names or identities. 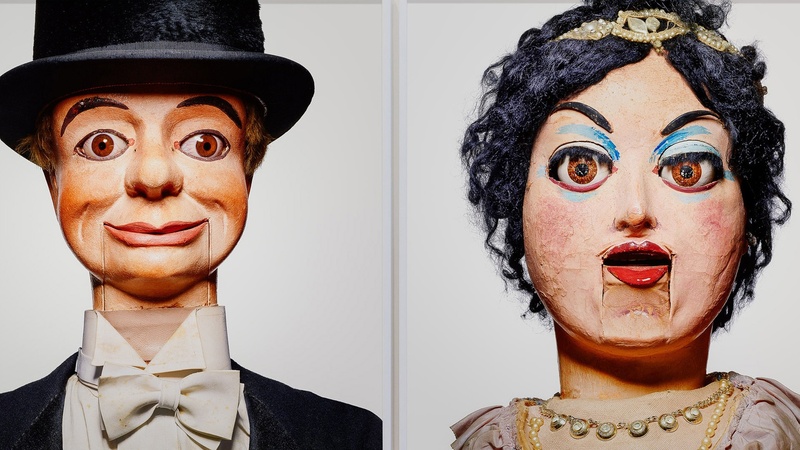 They were characters, integral to the performance of their creators, the ventriloquists. In these greatly enlarged photographs, framed in white, every crack, every bit of flaking paint, is magnified yet the eyes of each figure appear animated, even alive. Instead of treating the dummies as objects in a still life, Rolston portrayed them as subjects, reanimating them by way of his sympathetic treatment. The show continues through July 12. For more information, go to dianerosenstein.com.